What’s the main mistake that business writers make when writing their first proposal? The target audience is not clear, the format is incorrect and the tone is wrong. And, the solution doesn’t align with the requirements. So, how you can improve your proposals and win more projects that you bid on? Here are some guidelines to get you started. Define your audience. If you don’t know who you’re writing for, it’s unlikely you’ll hit the mark. Be specific. Present a clear idea and a focused plan. Connect your ideas with the client’s needs. Avoid suggesting options, technologies outside the scope of the requirement. Stay focused. Check if staff is in place to help plan and implement the project. Ensure that the budget and budget narrative reflect and explain all proposed activities. Is the writing clear, grammatically correct, with no typos? Does the proposal follows the RFP’s format requirements? Also called the Invitation To Tender. Does your description of the solution ramble? Have you provided diagrams that illustrate how it works? Does your budget match the grant requirements? Is the budget narrative too broad? Does the hardcopy of the proposal violate the RFP requirements? Has it been reviewed by your peers? Have all edit been included and reflected in the master copy? 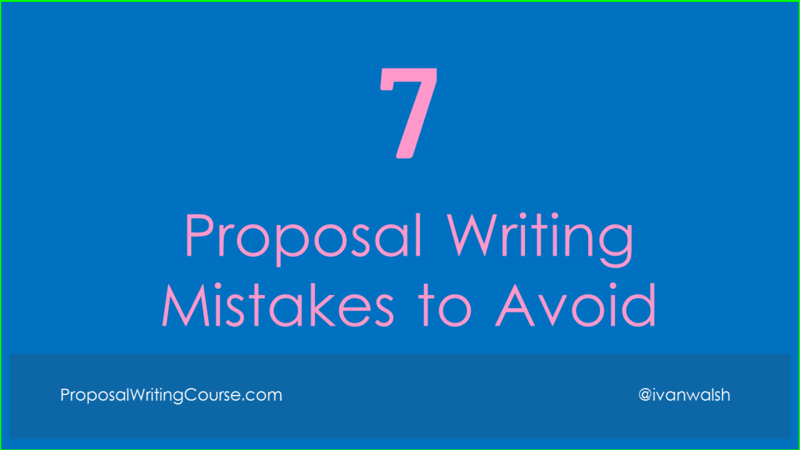 What are the biggest mistakes that proposal writers make? Please share your thoughts in the comments sections.